Arkham Asylum is in the grip of a terrifying new horror. Batwing and Jim Corrigan were sent by Batman to investigate the Asylum, where they both encountered supernatural forces, before uncovering the horrifying truth. Meanwhile, Red Robin and Harper Row find a new lead in Tokyo that could solve the mystery of the nanovirus that is slowly killing her brother. Many years ago Gotham faced a power that even Batman struggled to defeat. Now this same dark force is gathering in Arkham’s shadowy depths, soon he will rise, and the city will tremble before him. Batman Eternal #17 delves ever deeper into the hellish events unfolding beneath Arkham Asylum, enlightening us with a series of flashbacks that offer us greater insight to the cause of what’s happening in Arkham, while other plot threads involving Batman’s allies continue to play out and reach new turning points. With it’s tightly plotted story by writers Scott Snyder and James Tynion IV, with script by Ray Fawkes, and consulting writers John Layman, and Tim Seeley, Batman Eternal #17 casts a spectral eye over the horrors emerging within Arkham while other significant characters and events in this weekly series also get a share of the action. The Savior is a terrific story that sees Batwing and Jim Corrigan faced with the full horror of what has been happening in Arkham, as they confront the spiritual manifestation of Deacon Blackfire himself in a cavern below the Asylum. Deacon Blackfire’s spirit has returned to unleash havoc on Gotham City. The story of this deranged cult leader, who first appeared in the four part mini-series Batman: The Cult (1988), is told here though a series of flashbacks. It’s revealed how he preyed on the homeless, using drugs to subvert them to his cause to create an army beneath Gotham and begin a war on crime. Blackfire even captured Batman and attempted to brainwash him, but the Dark Knight managed to turn the Deacon’s minions against him and they killed him. As well as the ghostly happenings in Arkham Asylum, Batman Eternal #17 catches up with Red Robin and Harper Row in Tokyo where their investigation into the nanobots released in Gotham has brought them to the Akihabara District, and a meeting with Sergei Alexandrov. Meanwhile, back at Wayne Manor, Alfred’s daughter, Julia, confronts him about his decision to dedicate his life to serving the Wayne family, leading to some particularly emotional scenes where Alfred’s dignified silence conveys everything the ideal he serves so loyally means to him. Dustin Neguyn’s art for Batman Eternal #17 really gives a dark and chilling edge to the scenes in Arkham, with Derek Fridolfs inks also enhancing the foreboding atmosphere, to make Batwing’s and Jim Corrigan’s plight seem all the more desperate. The investigation by Red Robin and Harper Row in Tokyo provides a stark contrast to the main events of the issue, as they confront Sergei Alexandrov in his high-tech lab, while the scenes back in Gotham at Wayne Manor serve as a backdrop to Julia’s argument with her father. 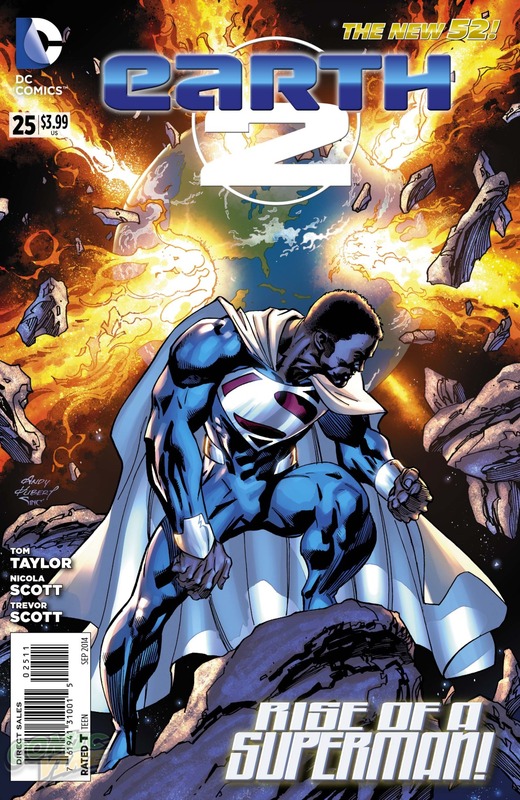 Each location is given its own distinct pallet and tone by colorist Jason Kalizi, with vivid hues used for the interludes in Tokyo and Wayne Manor, while the flashbacks featuring Deacon Blackfire have more a grainy, darker tone, and the pitch black shadows beneath Arkham are punctuated with a shimmering blend of unearthly energies from beyond the netherworld. With the return of Deacon Blackfire, channelling his spirit via the lumbering form of Maxie Zeus, and with the Joker’s Daughter as a maniacal sidekick, this issue ends on a supernatural high, and sets in motion a series of startling events and ghostly transformations. I really like how Batman features in this storyline, as the past entwines with the present, it shows just how flexible and versatile the format of a weekly series can be. Personally, I really like Batman stories when they dip into the realm of the supernatural like this, especially when the art and the story works so well together. Batman Eternal #17 is an excellent issue with and exciting story, great character moments, and enough dark paranormal twists in the plot to keep you guessing right up until the final page. 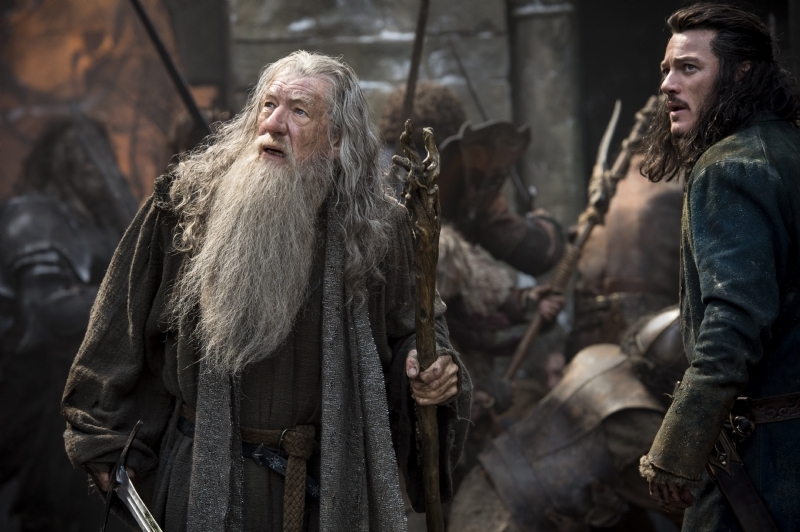 Check out the new teaser trailer for The Hobbit: The Battle of the Five Armies! It’s the showdown that will decide the fate of Gotham City, as Batman confronts the Riddler in Batman #33, the special extra-sized finale of Zero Year! Following the terrible destruction unleashed by the Riddler’s actions during the superstorm, the city was transformed into a flooded post-apocalyptic urban wilderness. Batman survived and returned to free Gotham from the Riddler with the help of Lieutenant Gordon and Lucius Fox. Batman set out alone to find the Riddler in his secret lair. Now, with a military air strike on the way, the Dark Knight must solve the greatest challenge of his early career to save Gotham City and defeat the Riddler. Batman #33 marks the conclusion of the epic Zero Year storyline by Eisner Award-winning writer Scott Snyder and artist Greg Capullo. Their bold re-imagining of Batman’s origin has offered us an entirely fresh perspective, one that has remained eminently respectful to the character, and skilfully redefined it within the context of DC Comics’ New 52 continuity. The final countdown has begun, fighter jets have been scrambled from Fort Robbins, but the Riddler intends to misdirect the air strike towards a series of strategically placed explosives that will detonate and sinks the entire city. While Batman faces the Riddler’s challenge in the museum, the Dark Knight’s new allies, Lieutenant Gordon and Lucius Fox, together with the Special Ops Seals, must find a way to delay the air strike. 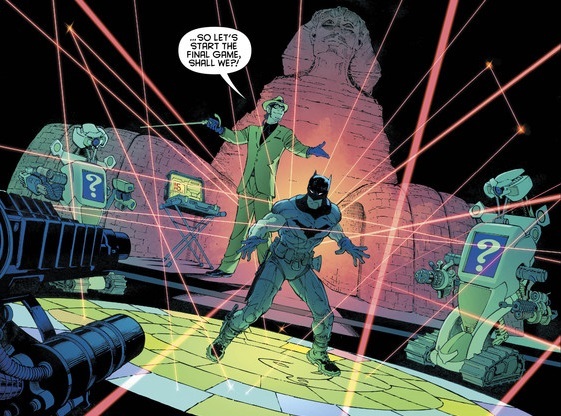 This final part of Savage City brings a complex, thrilling, and fittingly cerebral edge to Batman’s showdown with the Riddler, as the Dark Knight tackles the complexities of Nygma’s deadly high-tech version of the circular Oroboros game – first seen in Batman #22 when Bruce originally encountered Nygma in the museums Egyptian exhibit. With the Sphinx looming over them, this setting – so ingeniously hidden in plain sight all along and masterfully revealed last issue – not only provides a fitting backdrop for their final battle, it also links back though virtually every aspect of Zero Year itself. The way Scott Synder brings everything together in Batman #33 is staggeringly brilliant, and it is this total summation of everything that Zero Year stands for which now ultimately culminates with a gripping battle of intellects between the Dark Knight and the Riddler. The Riddler and his web of puzzles and schemes have been an intrinsic part of Zero Year, yet it perhaps only now, as we approach the climax of this storyline, that we can fully appreciate how masterfully Snyder and Capullo have not only woven the character into the narrative of Batman’s origin, but also re-defined this classic villain in a way that has made him infinitely more compelling than ever before. Nygma and his ego-driven narcissistic designs for Gotham has given a fascinating insight into the psychology of the Riddler, believing himself slighted by the world around him, Nygma has basked in the chaos and destruction he’s unleashed in order to prove his point to the city while challenging the Dark Knight and the citizens of Gotham to evolve and defeat him. Batman #33 is a veritable showcase of Edward Nygma’s uncanny ingenuity and cunning as Batman races against time to solve each of the twelve mind-bending historical riddles entwined in the games lethal web of lasers. Over the course of Zero Year, Scott Snyder and Greg Capullo have explored many facets of the Dark Knight’s origin. The flashback sequences have often proved to be the most compelling aspects of all and with Batman #33 Snyder and Capullo continue to explore the psychological trauma caused by the murder of Bruce’s parents during his teenage years. We see his life beginning to take a dark, and self-destructive path, and it is only through the events in Batman #33 that we learn the full extent of Bruce Wayne’s struggle with depression, as well as the lengths he was prepared to go to erase his pain, and the resolve that gave him the strength to fight his way back through the darkness with a decision that would see him leave Gotham City and begin the journey that would ultimately set him on the path to becoming Batman. Greg Capullo’s incredible art work never ceases to amaze me. Batman #33 is easily one of Capullo’s finest issues to date, the level of detail on every page is staggering, and I guarantee when you’ve finished this issue you will be reading it again right away to savour each and every panel Greg Capullo has crafted for this Zero Year finale. Danny Miki’s inks and FCO Plascencia’s colors are superb, the shading, details, and rich color pallet is a joy to behold, and the amazing work of this artistic team on Batman #33 has, quite literally, blown me away. As well as Capullo’s, Miki’s, and FCO’s stunning cover (Great to see FCO also credited on the cover now as well), Batman #33 also has two excellent variant covers by Bryan Hitch and Paolo Rivera. The intellectual battle between Batman and Riddler is just one of the many highlights this issue, as fate spins like penny, Gordon and Lucius also get their moment in the spotlight. Greg Capullo is the absolute master of conveying the characters emotions, their expressions, their stance, everything just works together so perfectly. Seeing the Riddler and Batman face to face, with Nygma finally seeing Batman as a worthy adversary, transcends their battle of wits to a whole new level. Incidentally, they are both wearing purple gloves, another nice touch that makes Zero Year’s reworking of Batman’s origin feel so special. Likewise, the scenes between Alfred and Bruce, and the way that Bruce’s past strikes a deeply moving, and emotionally charged symmetry with the Riddler’s grand design for Gotham, and its subsequent aftermath, will I’m sure, leave a warm smile on your face. Scott Snyder concludes Zero Year with a brilliant coda that personifies his love and respect for the character of Batman, and through his deeply personal, and emotive re-envisioning of Batman’s origin, Snyder has ensured that Zero Year delivered everything he promised, and then some. Gothamites are made of strong stuff, the city will rebuild, and Bruce’s speech at Wayne Enterprises, and the announcement he makes on this day heralds the dawn of a new age, and the simple gesture of a surprise gift heals a rift with a bond of life-long friendship. Above all though, it is the final, closing scenes of Zero Year that are the most magnificent of all, and the clarity of this moment is one that will remain with you long after you’ve turned the final page. Batman #33 is a stunning finale to Zero Year, as Batman’s confrontation with the Riddler concludes the third arc: Savage City. Scott Snyder’s and Greg Capullo’s epic twelve issue re-imagining of Bruce Wayne’s early crime fighting career has encompassed the classic elements of the Dark Knights origin, modernising and redefining many of the iconic cornerstones that have defined the character over he last seventy five years. I think Scott Snyder, Greg Capullo, Danny Miki, and FCO Plascencia have done tremendous work on Batman, I’ve enjoyed all the storylines, and I think Zero Year in particular has been their most outstanding achievement of all! So what’s next for the Dark Knight? 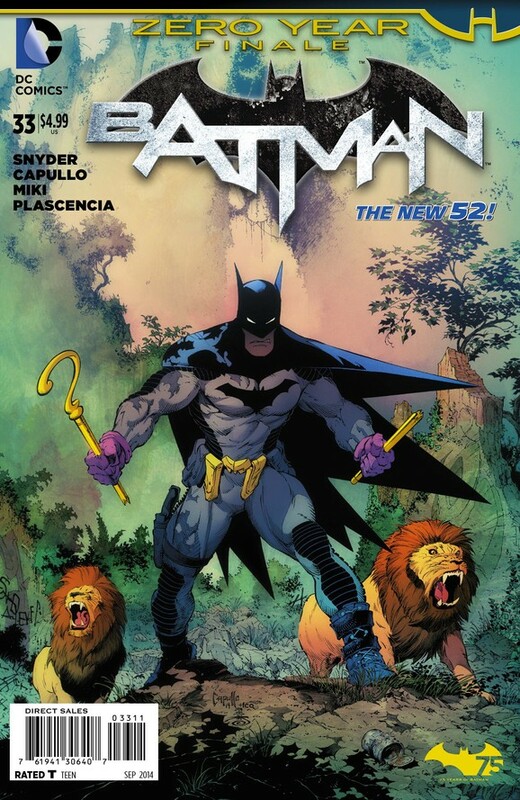 Well, in August, Batman #34, and the Batman issues which follow, will be jumping forward in time, to coincide with the events and continuity that takes place directly after DC’s current weekly series, Batman Eternal. Batman #34 will be a stand-alone story, co written by Gerry Duggan (Who is also writing this October’s new series Batman Arkham Manor), is a spooky detective story, with art by Matteo Scalera. This will lead into Snyder and Capullo’s next Batman story arc, Endgame, which begins in October’s Batman #35, Endgame, is also set in the same continuity as Batman #34 and both take place right after the ending of Batman Eternal. Batman Endgame will be a six part storyline, and it promises to be Scott Snyder’s and Greg Capullo’s most exciting story yet. Endgame is Snyder’s and Capullo’s big story for Batman’s 75th anniversary, boasting an extensive cast of characters and thrilling cataclysmic events. Each issue will also feature back-up stories that link into the main arc of Endgame, co written by Scott Snyder and James Tynion IV, with the artists changing monthly. Batman #33 is extra special in many ways, not only because it’s the final issue of Zero Year, it also happens to be released on Wednesday, July 23rd, as part of DC Comics international Batman Day celebrations for the 75th Anniversary of Batman. So, enjoy Batman #33 and have a happy Batman Day Batfans! When the TARDIS lands in a top secret naval base by the Northumberland coast towards the end of the Second World War, the Doctor and Ace meet Dr Judson – a crippled scientist who has built a new computer to crack German codes. However, the base’s Commander Millington intends to allow a Russian commando unit steal Judson’s Ultima Machine, which has been booby trapped with a deadly nerve agent that has been developed. Dr Judson is also researching some ancient runes in the crypt of the St Judes church, using the Ultima Machine to translate the symbols on the walls. This unleashes an ancient evil called Fenric, a being who the Doctor met in third-century Constantinople, where the Time Lord defeated him at chess and imprisoned him in a shadow dimension – sealing his essence inside a flask that was eventually brought to England by the Vikings in the ninth century. One survivor of this doomed voyage settled here, spawning generations of ‘wolves’ that bore the genetic code of Fenric Now the Curse of Fenric is about to be unleashed, having manipulated these descendants to engineer one last game of chess with the Doctor, where Ace will discover she is also a pawn in Fenric’s grand design. As the Russian commando team, led by Captain Sorin, arrive at the beach some of his troops go missing, and strange things begin to happen as night falls. 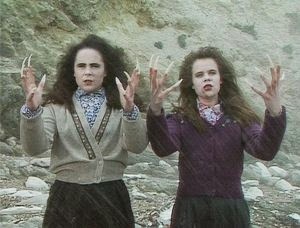 One of them is found on the beach the next morning, his body drained of blood; soon the Haemovores rise up from the sea, undead humans who have been transformed into horrifying vampires by the Ancient Haemovore. This creature is the last survivor from a future Earth, where the world has been destroyed by pollution, has also been brought back in time by Fenric. With all the pieces in place on the board the Haemovores turn two young evacuees, Jean and Phyllis, into vampires, and together they lead the attack on St Judes. 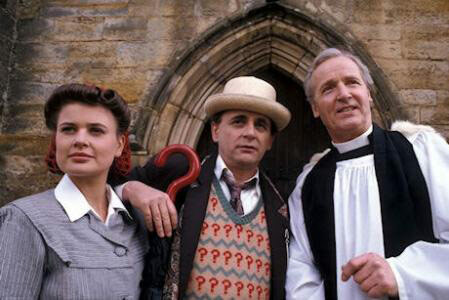 While Ace fights the Haemovoers on the roof, Rev Wainwright and the Doctor are attacked inside the church. Captain Sorin leads his men in helping them, while the Doctor uses his faith to repel the Haemovores, giving them time to escape back through the secret tunnel to the base. Rev Wainwright tries to buy them more time, but his faith falters, and he is killed by the Haemovores. They are too late to stop Fenric possessing Dr Judson, but when Fenric faces the Doctor to complete the chess game, Judson’s fail body begins to deteriorate. Ace inadvertently tells Fenric the solution to the chess game, unaware that Fenric has now possessed Captain Sorin, and it uses the younger man’s strength to complete the game. The Doctor and Ace are trapped by Fenric and the Ancient Haemovore. Fenric taunts them as Sorin, revealing how Judson, Millington, Wainright, Sorin, and even Ace have all been used as pawns in his conflict with the Doctor, and how he plans to unleash the deadly toxin stored at the base – which was discovered seeping from the stones beneath St Judes Church – to destroy the world. In order to defeat Fenric the Doctor must break Ace’s faith in him; he succeeds and manages to turn the Ancient Haemovore against Fenric, who drags Sorin into the chamber to destroy Fenric’s host body and sacrifices itself in the process. The Doctor and Ace go to the beach as they prepare to leave, with Ace finally coming to terms her relationship with her mother, after learning that the woman she saved from the Haemovores – Kathleen and her baby daughter Audrey – was actually her grandmother. Ace dives into the water, no longer afraid, and ready to embrace the future. 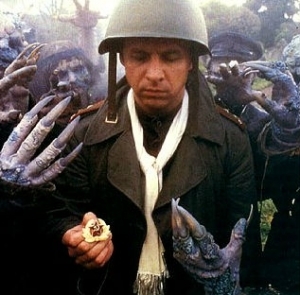 The Curse of Fenric (1989) is the penultimate episode of Season Twenty Six, and this story in particular is one of the highlights of Sylvester McCoy’s third year. In a season full of exceptionally good stories, writer Ian Briggs’ tale is rich with Norse mythology and vampire legends that fully embrace script editor Andrew Cartmel’s new ethos for the programme. Nicholas Mallett’s superb direction also makes this a thoroughly atmospheric adventure, with the discovery of a lost artefact, an ancient evil rises from the mist shrouded waters of Madien’s Point, and the Haemovores assault of St Judes church all recall similar elements from John Carpernter’s 1979 horror film: The Fog. 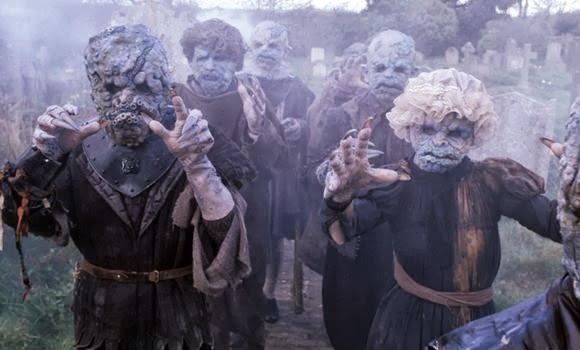 This is not the first time Doctor Who has drawn on themes from horror films, some of its best stories have been rooted in the genre, and The Curse of Fenric is all the more enjoyable for it. 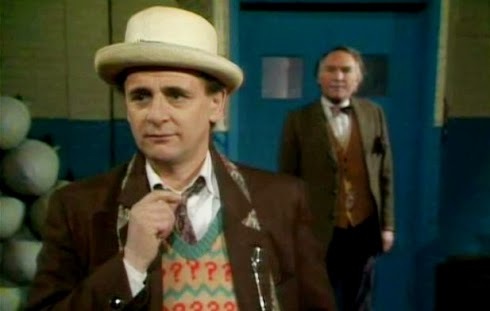 Sylvester McCoy gives one of his finest performances as the Doctor in The Curse of Fenric. He breezes into the story with an air of authority, walking straight into the naval base, and there is a great moment where he types his letter of authorisation – showing he is ambidextrous as he forges the signature of the Head of the Secret Services and the Prime Minister simultaneously with two pens. It seems that the Doctor has been aware of Fenric’s plan, even before he met Ace, and it is here that the 7th Doctor’s darker, more manipulative side is played to great effect by McCoy as events force him into shattering the faith of his loyal companion Ace to defeat Fenric. The development of Ace is one of the major factors that make Season Twenty Six so entertaining to watch. Sophie Aldred brings such depth and sensitivity to Ace’s performance in The Curse of Fenric, her characters story arc reaches a defining moment in this story, as Ace not only faces up to the inner demons that have haunted her for so long, but she also shows just how much she has grown as an individual in her own right. Ace is now more mature, enjoying the thrill of adventures, but wise enough to heed the Doctor’s warning about Maidens’ Point, when she refuses to join Jean and Phyllis for a swim. Her flirtation with the sergeant during the third episode, to give the Doctor the chance to free Captain Sorin, shows Ace as a confident young woman, one far removed from the troubled tomboy who we first encountered in Dragonfire (1987). Ian Briggs was the writer who created Ace and he does a great job of developing her character in The Curse of Fenric. Ace is bold enough to stand up for herself now, even challenging the way the Doctor manipulates people, and the closing scene at the beach where she confidently dives into the water perfectly concludes this excellent story. The Curse of Fenric has a terrific guest cast: with Alfred Lynch as the base’s Commander Millington, along with Dinsadle Landen as the crippled Dr Judson who gives a great performance as the cantankerous scientist, before becoming cold and sinister after he is possessed by Fenric. The Russian troops are led by Commander Sorin, played by Tomek Bork, and he also gets to show both aspects of his character as well after he is also possessed by Fenric. One of the pivotal moments in The Curse of Fenric comes as the church is attacked by the Haemovores, led by the newly transformed vampires, Jean and Phyllis, who spearhead the assault on the building. These scenes are brilliantly staged by director Nicholas Mallett, with Ace and the Russian soldiers fighting back the Haemovores on the roof, while the Doctor and Rev Wainwright are trapped inside. When they are overwhelmed and the Haemovores break in, the Doctor uses his faith in his companions to repel them, reciting the names of his companions to drive the creatures away. Captain Sorin uses a similar method to escape as well, using his belief in the revolution to make a path through the bloodthirsty ranks of the Haemovores. Joann Bell and Joann Kenny are wonderfully creepy as the evacuees, Jean and Phyllis, who are transformed into vampires after swimming in the waters. They entice another of Sorin’s men to his doom, luring him into the water, before the Haemovores arise to claim him. Jean and Phyllis also take their revenge on Miss Hardaker (Janet Henfrey), before attempting to claim Rev Wainwright. There are some really striking underwater scenes in The Curse of Fenric, which all help to build up the suspense, leading up to the moment where the Haemovores rise form the sea to attack in force. 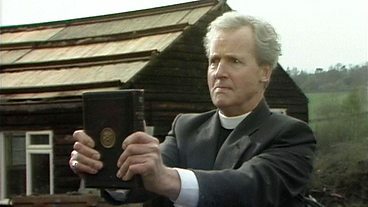 Nicholas Parsons is superb as the Vicar of St Judes. He has some great scenes with the Doctor and Ace, and plays a pivotal role in the story. The moment where he is confronted by Jean and Phyllis in the graveyard is chillingly surreal. His faith isn’t enough to repel them and the Doctor and Ace save him, and when the Haemovores attack the church he is powerless to stop them. His doubts about the war have given Wainwright cause to question his faith, and when he bravely decides to stand his ground against the Haemovores his belief crumbles and ultimately proves to be his undoing. The Curse of Fenric is a highly evocative story, offsetting the morality of warfare against some stark ecological issues, whilst skilfully juxtaposing it with the faith of all the characters involved in this adventure. 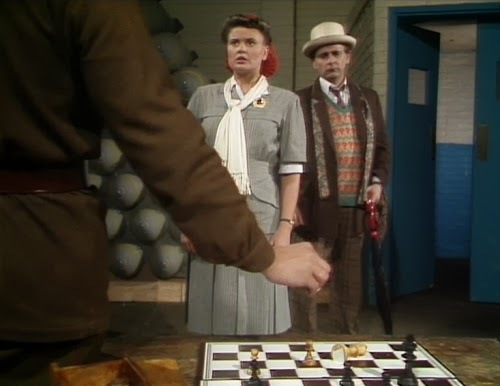 Even though the Doctor’s actions seem deceptively enigmatic, events quickly begin to escalate according to his design, until the time is right for the Time Lord to face Fenric again and play one last game of chess. Fenric is another example of a disembodied force, or ideal, against which this 7th incarnation seems perfectly tailored to counteract. The Curse of Fenric deals with plot thread that stretch right back to Ace’s debut story, Dragonfire, as Fenric delights in revealing how it was the one who was responsible for the Time Storm that brought her to Iceworld. From the moment the Doctor saw the chess set in Lady Peinforte’s house in Silver Nemesis (1988), the Time Lord was aware of Fenric’s involvement. 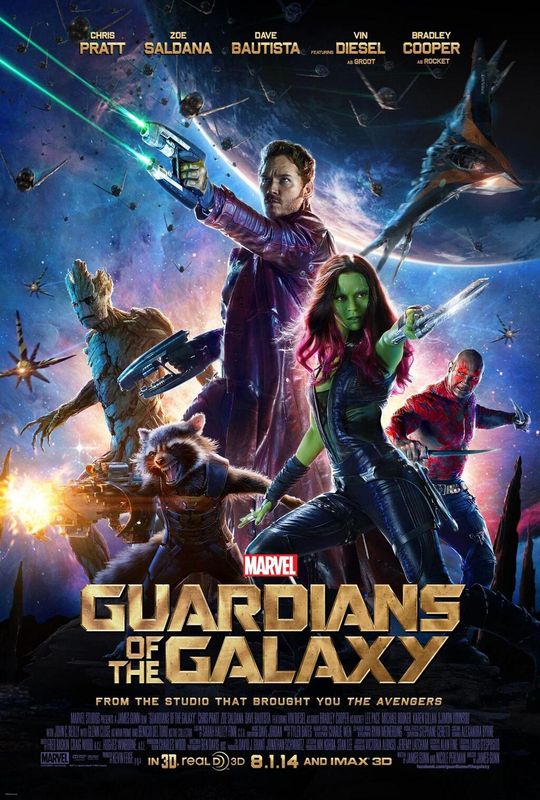 There might also be some connection with the Gods of Ragnarok, who the Doctor encountered in The Greatest Show in the Galaxy (1987), although they appeared to exist in another dimension. The Curse of Fenric was released on DVD in 2003 in a special two-disk set that featured the original episodes, along with a number of extra features and commentaries, as well a re-edited Special Edition with extra footage and added special effects. The Curse of Fenric is one of the best stories from the 7th Doctor’s era. It illustrates the full potential that McCoy’s darker incarnation of the Doctor had to offer, and Sophie Aldred’s journey as Ace is unique in the shows original run. Few companions ever enjoyed as much character development as this. The McCoy years were over before we realised what we had, its only now, with the power of hindsight that we understand just what could have been. The Curse of Fenric is my favourite 7th Doctor story, it’s a thrilling adventure, and a great example of this era of Doctor Who. Gotham’s gang war is over following the blood soaked showdown between Penguin and Carmine Falcone. While Jim Gordon had to make a decision that could alter his life forever, Lieutenant Bard and Batman reached a new understanding after tackling the corruption within the GCPD, leading to the arrest of Commissioner Forbes and the Mayor. 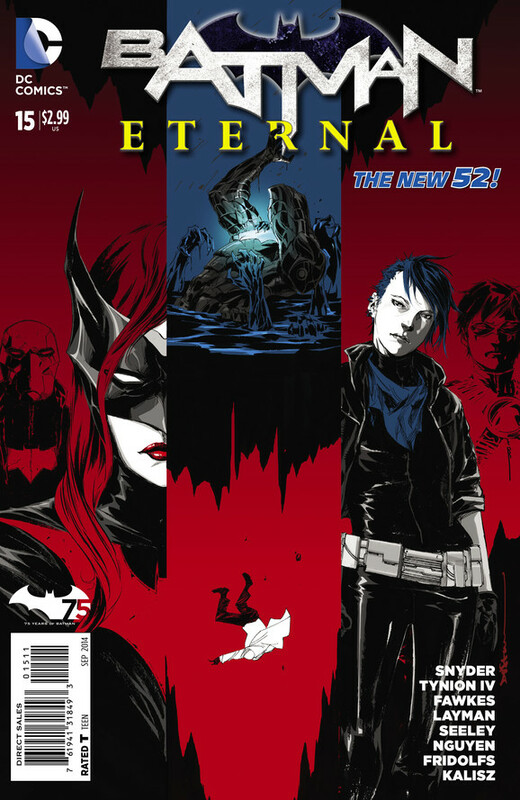 Batman Eternal #15 follows Red Robin’s mission to Tokyo, while Batgirl and Red Hood run into Batwoman in Rio. Plus, as Batman and Bard deal with the remaining gangs in Gotham, we return to Arkham Asylum, where Batwing and Jim Corrigan must confront the hellish forces which have been unleashed there. Batman Eternal #15 juggles multiple pot strands, building successfully on the aftermath of the gang war, while also giving the rest of Batman’s globe trotting allies’ time in the spotlight, as well as the sinister events in Arkham Asylum. 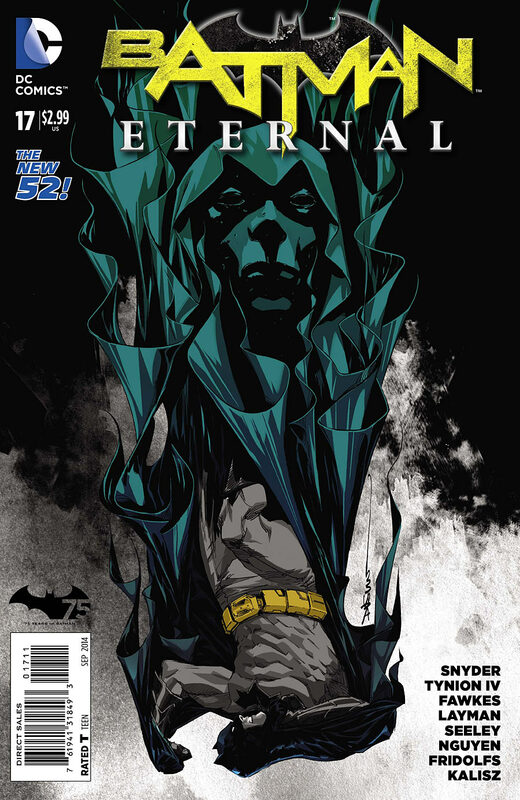 With its fast paced story by writers Scott Snyder and James Tynion IV, script by Ray Fawkes, along with consulting writers John Layman, and Tim Seeley, Batman Eternal #15 makes good use of all the characters and finely hones each aspect of the multiple plot threads that have been gradually building over the course of this weekly series. The Common Limit sees Red Robin pilot his aircraft to Tokyo, having uncovered the stowaway Harper Row en route, who is determined to find out who is behind the nanotech that is slowly killing her brother. There are some really fun moments between Red Robin and Harper during these early scenes, the banter between them is excellent as well, especially when Harper gets his name wrong and dons a makeshift mask, something that nicely links into the Bluebird crime-fighting persona we know she will eventually adopt (as we saw in Batman #28) to fight alongside Batman. As Batwing and Jim Corrigan explore Arkham the full extent of what has been happening begins to become apparent. While they may seem an unlikely team, the combination of Batwing’s hi-tech suit and Corrigan’s in-depth knowledge of occult forces, actually works really well, and the characters seem to have stuck up a very natural bond. Their descent into the lower levels of the Asylum is quite unsettling, we catch sight of Riddler’s cell, a shadowy stairwell finds an inmate babbling with all kinds of madness, and the Scarecrow’s fate is almost as disturbing as the bizarre manifestations in his cell. Two further interludes, one involving Batman and Lieutenant Bard as they round up the remaining gangs members, the other with Batgirl, who has reluctantly teamed up with the Red Hood, on her mission in Rio to find evidence to clear her father of causing the Gotham train crash, although brief, ensure that both subplots are kept bubbling away in the background. I really like the dynamic between Batman and Bard, it’s very different to the one the Dark Knight had with Gordon, and I look forward to seeing how it develops over time. Batgirl and the Red Hood also had some intense scenes, and it was good to see Batwoman show up as well. Dustin Nguyn’s art for this issue of Batman Eternal is excellent, together with Derek Fridolfs inks, the various locations and extensive cast of characters are all handled really well. Nguyn’s art brings a real sense of kinetic action to every scene, especially the segments in Arkham, with its sinister supernatural elements and hordes of raving lunatics lurking down in the Asylums shadowy depths. The colors by Jason Kalisz also gives each section of the story its own distinct tone: from the crimson hues inside Red Robin’s aircraft, the greys and blacks of Gotham are in stark contrast to the purple neon glow over a back street in Rio, while the horrors of Arkham are cloaked in mixture of deep shadows and ghoulish magic as Batwing and Jim Corrigan explore its secrets. Batman #15 rounds everything off with a thrilling double edged cliff-hanger, one that will see Batwing’s reliance on the technology of his armoured suit pushed to the limit, while in Arkham’s basement Corrigan must face a new terror waiting in the darkness. I really enjoyed this issue, the various plot elements all meshed together well, and I also liked how we finally got to return to the storyline in Arkham as well. All in all then, I’d have to say Batman Eternal #15 was a good solid issue, the story and art were really impressive, and I look forward seeing how the intriguing global adventures with Batman’s allies and the supernatural storyline in Arkham pans out, as well as the impact they’ll have on future events in Batman Eternal. All New X-Men #29 is an astonishingly brilliant issue from Brian Michael Bendis. The return of the Future Brotherhood has made for a really exciting storyline, every element of the time travelling plot that Bendis has weaved into the narrative achieves an uncanny synergy with the sheer audacity of the multiple paradoxes and quandaries it generates. Heaven only knows what all this is doing to the time stream, it certainly makes a great story though, and the way Bendis manages to bring it all together this issue is amazing. I really liked how Jean manages to turn the tables on the son of Xavier in this issue. Everything spins out from last issues cliff-hanger, when Jean began to fight back with her new psychic power levels, and gave X-23 her chance to ambush Xavier. X-23’s savage attack on the son of Xavier is enough to break his influences over the X-Men and the Future Brotherhood of Evil Mutants, except for his brother Raze, who quickly rushes in to fight X-23. The stunning art of Stuart Immonen, together with inker Wade Von Grawbadger, and with colorists Marte Gracia and Jason Keith on this issue, make the big action set piece that follows, with its elaborate two-page spreads and big sash pages, about as breathtaking and exciting as anything we’ve ever seen in this title. There is also a great dynamic forming between the original X-Men and the present day X-Men now, with the adult Cyclops and Emma Frost keeping Jean focused during her mindscape battle with Xavier’s son, while Kitty Pryde and Magik lead the rest of the X-Men into battle. I also thought the fight between X-23 and Raze was really good, it was savage and brutal, and they both seem fairly evenly matched. We also learn more about the Future Brotherhood, including the full extent of Xavier’s control over them, and there is a rather unsettling discovery about Xorn as well. The psychic confrontation on the mindscape between Xavier and Jean cleverly uses bold colors to define the combatant’s abilities, with icy blue tones highlighting the attacks by Xavier’s son, while Jean’s new power set manifests within vivid hues of pink and violet. There are some really good scenes for the adult Cyclops and Emma Frost over the course of this issue, especially for Cyclops, as he points out to the value of the lessons the All New X-Men have learned on this day. Brian Michael Bendis manages once more to skilfully address the issue of Original X-Men’s inability to return to their own time, balancing it perfectly with the way the Future Brotherhood has been manipulated by Xavier’s son, effectively forming a time warping coda with the future events witnessed last issue as the Brotherhood plotted the X-Men’s downfall. All New X-Men #29 is a highly enjoyable and action packed issue. With all its time twisting surprises this issue will be one to read a few times to pick up all the nuances that Bendis has included, and I expect, like me, you’ll probably agree with Iceman when he says that time travel gives him a headache if you think about it too much! 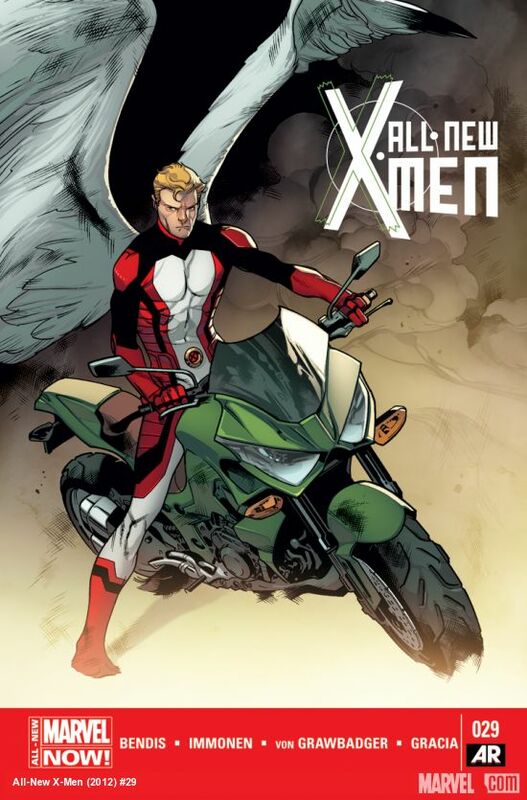 Finally, last word goes to that stunning cover by Immonen, Grawbadger, and Gracia, featuring Angel riding a motorbike. Well, it certainly provides a great conclusion to this story with the Future Brotherhood, and if next issues teaser image is anything to go by, it seems that romance could soon be in the air. 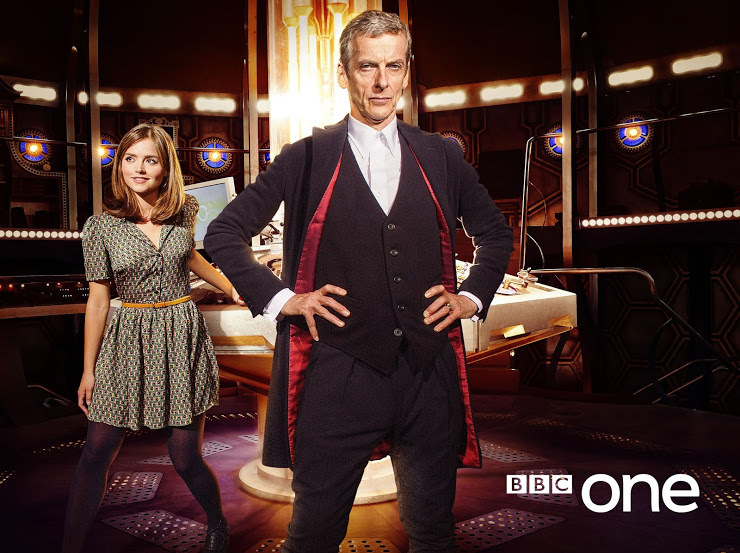 Doctor Who New Series 8 Official Full Length TV Trailer! Vworp Vworp! 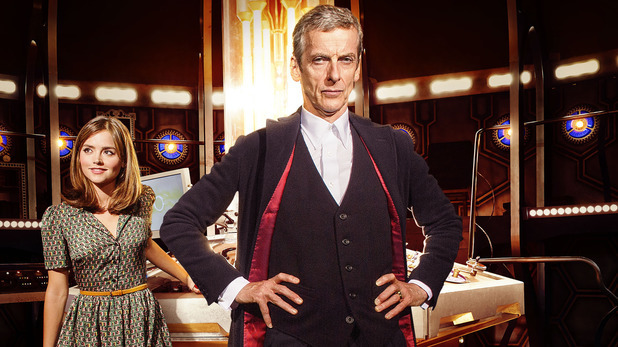 Check out the Doctor Who New Series 8 Official Full Length TV Trailer!